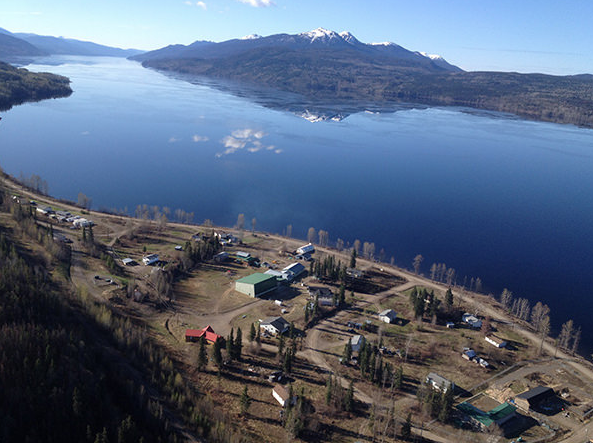 Dr. John Pawlovich, a family physician living in Abbotsford, BC, has a thriving practice in Takla Landing, a rural and remote aboriginal community located approximately 400 km north of Prince George. Like many physicians providing rural and remote healthcare, he flies or drives by 4X4 into Takla Landing once a month for a week to meet face-to-face with patients. Unlike many physicians, however, Pawlovich for some years now has regularly met with and examined these patients, and consults with Takla Landing clinic nursing staff on a daily basis from his home office via videoconference for the other three weeks of the month. 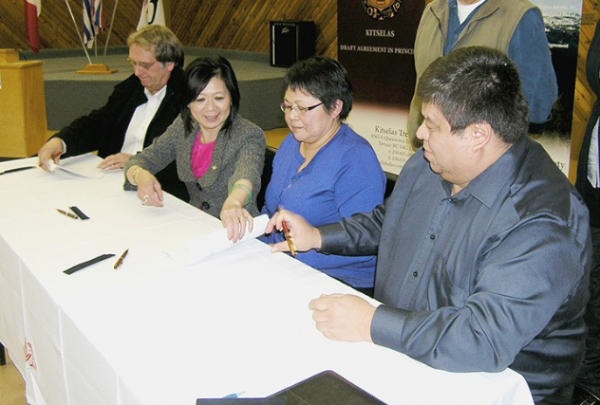 Pawlovich and Takla Landing were part of a pilot project initiated in 2013 by Carrier Sekani Family Services to explore how telehealth technologies could be used to provide primary care support to isolated aboriginal communities. 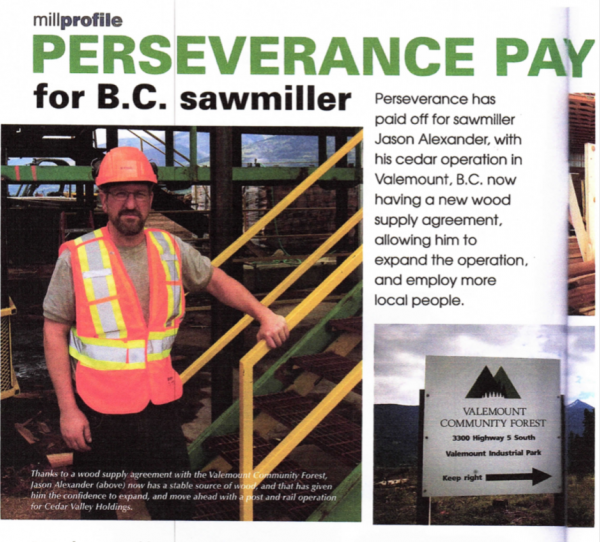 The project, which started in 2010, was an unmitigated success. After installing state-of-the-art videoconferencing equipment that included peripheral examination tools such as a stethoscope, an ENT camera, and a general exam camera, the Takla Landing healthcare team developed processes and competencies to integrate the new technology into their daily services. 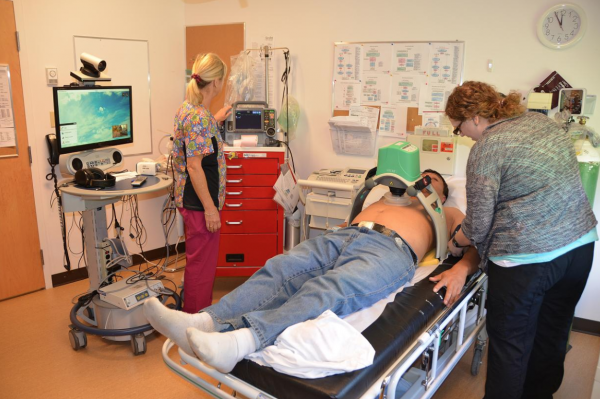 Telehealth enabled nurses and physicians who were off-site to collaborate in an unconventional manner. Nurses often lead much of the care at Takla Landing, and used the telehealth system to consult with Pawlovich via iPad, smartphone, or HD desktop screen and camera when a complex health issue requirds a consult. Caroline Alger, an RN who has worked at Takla Landing, notes that it is amazing to have a physician listen via telehealth to heart, lung, and bowel sounds, examine wounds, and talk to the patient to explain their symptoms and diagnosis. “It takes away the guesswork that occurs when a physician prescribes on the basis of the examining nurse’s description of symptoms and findings,” says Alger, and she notes that telehealth also helped her learn new skills and review existing competencies in patient examination and treatment. Support of healthcare services through telehealth enabled care workers to manage more patients in-community, and reduced the number of patient transfers to acute care facilities elsewhere, saving money and reducing patient stress. In addition to enhancing acute healthcare provision, telehealth also enabled much more optimal management of chronic diseases, allowing patients to receive proactive and preventative care from a familiar healthcare provider. “The ability to continue to directly work with a patient despite not being physically present in the community is a game changer,” says Pawlovich. The success of the Takla Landing pilot project led to further investigation about the effectiveness of telehealth in supporting specialist care. “We’re now offering several specialties within Takla Landing, including general surgery, thoracic surgery, infectious disease care, nephrology, addictions, HIV and AIDS, dermatology, and cardiology,” notes Pawlovich. While complex treatments may not take place at the community health clinic, local healthcare staff and telehealth have both played a key role in managing and supporting patients. For example, Pawlovich and clinic nurses managed simple surgical pre- and post-operative exams in-community by videoconferencing with the specialist. 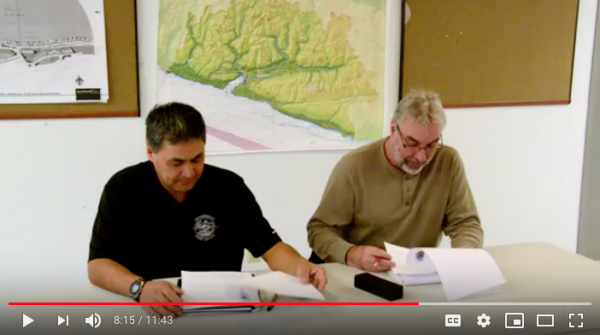 The First Nations Health Authority, interested in the outcomes of the Takla Landing pilot project, initiated a Telehealth Expansion Projectof its own, launching near the end of 2013. This project was intended to create the opportunity for a large number of aboriginal communities to get involved with telehealth when they were able and ready to do so. There were and remain other challenges facing remote and rural aboriginal communities wishing to augment their healthcare programs with telehealth technologies. Telehealth is heavily reliant on internet connectivity, and requires a great deal of bandwidth to function properly. In regions of BC that do not have access to high speed connectivity, acquiring this bandwidth (usually through satellite internet connections) can be difficult and costly. Video conferencing equipment, too, can also be expensive. However, Pawlovich was confident, “way back” in 2013, that the rapid evolution of mobile technologies would likely bring such barriers down over time — a confidence that was to prove well-founded six years later. Which brings us to CODI. The rural and remote emergency room (ER) remains one of the leading health care challenges in Canada and around the world. Geographic and human isolation, low resources, climate, daily anxiety and fear, fatigue, minimal specialist back up, etc., are just a few of the obstacles that relentlessly erode the spirit and confidence of rural physicians. For many, the mountain to scale to achieve a successful and enjoyable career in rural medicine is often the rural emergency room. In 2017, Pawlovich met with fellow physician, Don Burke, at the BC Rural Healthcare Conference in Prince George, while presenting on telehealth & remote medicine, and critical care, respectively. 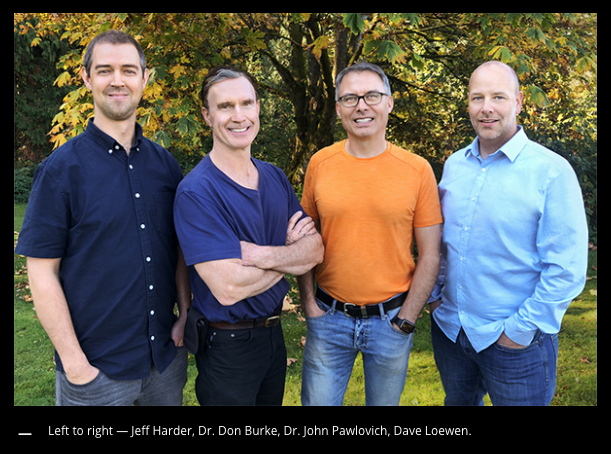 Out of this initial chance encounter spawned an idea to support physicians in rural and remote BC in a new and exciting way: provide physicians with timely access to kind, knowledgeable, and collaborative assistance at the point-of-care for the most critically ill patients. The seed for CODI (Critical Outreach and Diagnostic Intervention) was sown. Together with Dave Loewen and Jeff Harder representing the technical side, CODI was born. CODI is a secure iOS smartphone app that is an integration of technology and the “right people” to support rural providers during stressful and challenging times in the emergency room. Literally, it is an on-demand, 24/7 “intensivist in your pocket” that can directly connect a rural physician to an intensivist, using technology similar to a FaceTime call. CODI’s simplicity makes it powerful: through the touch of a button on a familiar device, people are connected in real time to work together through complex, intimidating, and anxiety-filled situations. Virtual critical care consults are dictated and sent on for transcription using the secure app. Medical reports flow back to the rural physician in an extremely timely fashion for integration into the patient’s chart. CODI specialists are selected for their knowledge and skill, compassion and empathy, rural awareness, and willingness to help. Through this easy connection of humans, anxiety is lessened, physicians and nurses are empowered, and most importantly, patients gain an exceptional level of care. CODI raises everyone’s game in the rural emergency room. Moreover, through this collaborative care process, value-added benefits such as education start to be possible. Bedside review of sepsis management, need for intubation, chest tube insertion or central line insertion are just some examples of clinical presentations that can be taught on-the-fly. The rural emergency room in Canada has never seen anything like CODI – this blend of technology and the right people has created a BC-developed care strategy that is truly transformative. While the technology is impressive, it is the human element of CODI that will likely provide the greatest positive impact on rural healthcare. Chronic stress undermines the community life expectancy of a rural and remote physician. It is plausible that CODI’s virtual, 24/7 presence in the pocket of a physician will lessen anxiety, build confidence, enhance quality of life, and positively impact recruitment and retention in rural and remote BC (and ultimately, all of Canada). Enhanced patient outcomes and reduced out-of-community transfers are other potentially positive outcomes of CODI. To date, over 200 rural providers have signed up for CODI. The next phase for CODI will be the addition of CODI-EM (Emergency Medicine). This second phase will allow rural providers to reach out for immediate support on cases proving to be a challenge in the emergency room, both critical and non-critical. An all-encompassing EM support strategy could prove beneficial to vulnerable providers in the rural setting (young graduates, International Medical Graduates, Practice Ready Assessment physicians, those returning to rural practice after a long absence, etc.). CODI is proving to be the most transformative blend of technology and people the rural emergency room has ever seen, with rural colleagues articulating that CODI should be the “Standard of Care.” Time and evaluation will determine the true positive outcomes of CODI, as there is clearly a domino effect in smaller communities when healthcare in empowered and doctors are truly supported. Although it is early, CODI is making a difference. Health Care, Rural technology CODI, Dr. John Pawlovich, e-medicine, rural health, rural healthcare, telehealth. permalink.